Well I'm so exhausted I can barely type this...we had a wonderful Thanksgiving with my family today. My parents hosted across the street...couldn't get any better. 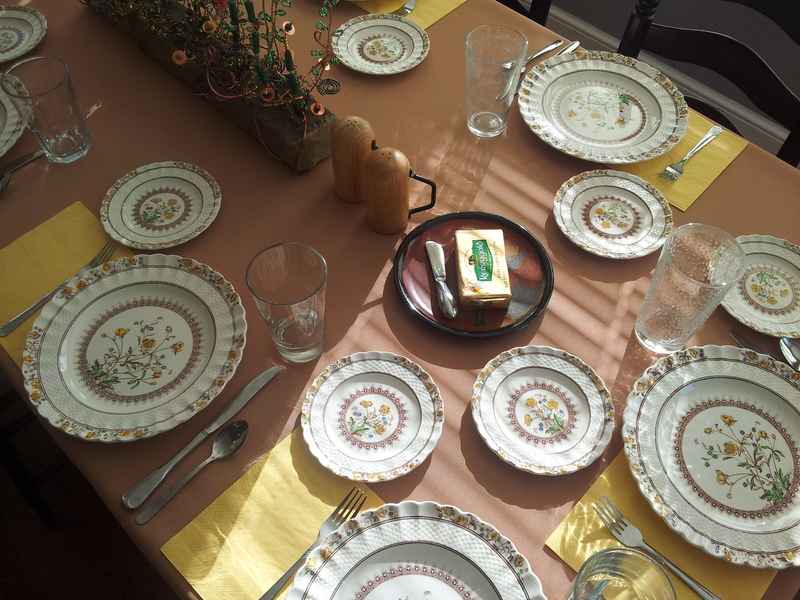 Food was phenomenal, tables were beautiful with my great grandmother's china on one, my grandmother's on the other. Andrew's passed out with the dogs on the couch, I'm staring blankly watching Harry Potter movies (with commercials!?!) on ABC Family...I think this is a sign that I need to go to bed. Family still in town for a couple days and we have another Tgives to attend on Saturday! All I know is that I'm headed downstairs to do some seriously needed yin yoga and then it's sleepy time. Feeling grateful for pretty everything right now...life is really good, I can't complain. Many thanks to you for reading.